A new trailer for the festival favorite Searching has arrived online. The idea of found footage movies, or things of the like, has pretty much been exhausted over the course of the last two decades. While this movie may not exactly qualify as found footage in the traditional sense, it's a thriller that takes place entirely on laptop screens and, despite what could be written off as a gimmick, this movie has been winning over critics so far and looks like something that should definitely be on your radar as a possible late summer hit. Now, a new trailer has debuted, giving us a look at the inventive thriller. The trailer looks like a much more classy version of Unfriended. Like, maybe if David Fincher had taken that concept over or something along those lines. We see that a girl named Margot, whose name the trailer makes it impossible for you to forget, may have been involved in some shady activity, but things may not be as simple as they seem on the surface. Her father, played by John Cho, is on the hunt for her now that she's missing, though it appears that his motives are called into question as well. Despite the fact that it all takes place on a laptop screen, this looks tense and intriguing. 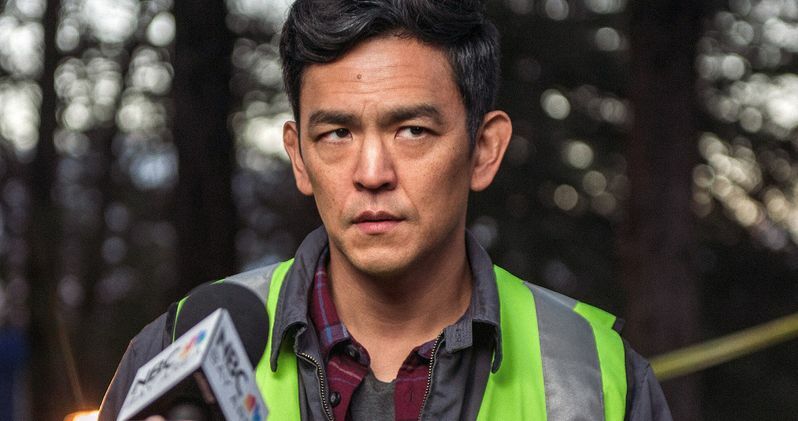 In Searching, after David Kim (John Cho)'s 16-year-old daughter goes missing, a local investigation is opened and a detective is assigned to the case. But 37 hours later and without a single lead, David decides to search the one place no one has looked yet, where all secrets are kept today: his daughter's laptop. In a hyper-modern thriller told via the technology devices we use every day to communicate, David must trace his daughter's digital footprints before she disappears forever. Sundance played host to the movie earlier this year and critics who have seen Searching so far absolutely love it. At the moment, with 12 reviews counted, it has an untarnished 100 percent approval rating on Rotten Tomatoes. That score probably won't remain as such once more critics get the chance to check it out, but it certainly bodes well for those who are intrigued by the concept. The movie comes from director Aneesh Chaganty, who co-wrote the screenplay with Sev Ohanian. Searching arrives in theaters on August 3 which is something to consider. Not only because it positions it as a possible summer sleeper, but because Unfriended: Dark Web, which plays around with a very similar concept, also arrives in theaters just a couple of weeks beforehand on July 20. It'll be interesting to see how they play off of one another. In addition to the trailer, a brand new poster for the movie has also been released, which you can check out as well. Be sure to check out the new Searching trailer, courtesy of the Sony Pictures Entertainment YouTube channel, for yourself below.